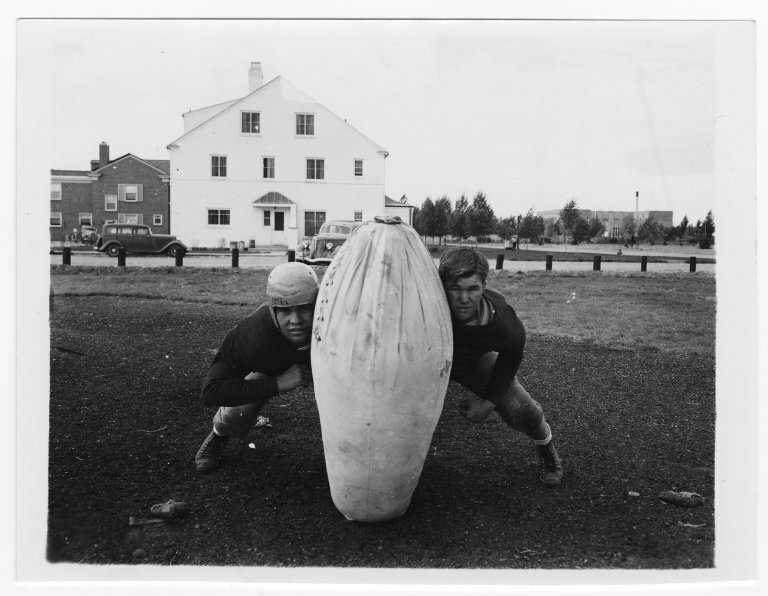 Two football players with a tackle bag, 1942. University of Wyoming Athletics – Football – Photo File, Folder 6. American Heritage Center, University of Wyoming. Here’s a photo from our collections to wish the Cowboys luck against the Idaho Vandals this Saturday in Moscow, ID!